New Delhi: As a prolonged Sebi-Sahara battle continues, the regulator has revised lower the expenditure it intends to recover from the business group to Rs 25.88 crore in the current fiscal towards money spent on identifying the investors and making refunds. In its mid-term review of budget estimates for the current financial year 2014-15, Sebi is believed to have pegged the revised estimate of 'expenses recoverable from Sahara' at Rs 25.88 crore, down from the original budget estimate of Rs 37.66 crore. The actual expenditure already made till December 31, 2014, in this financial year stood at Rs 8.75 crore. This downward revision has taken place largely due to a planned expenditure being revised from Rs 12 crore to Rs 4 crore for the current fiscal because of non-operationalisation of a contract given to UTI-ITSL in the Sahara case. Besides, the advertisement charges have been revised lower from Rs 3 crore to Rs 1.46 crore. The amount earmarked for in-person verification charges has also been reduced, as the same could not be spent amid subsequent developments in the courts and henceforth a total amount of Rs 1 crore has been set aside for this particular purpose. In this high-profile case involving refund of over Rs 24,000 crore and additional interest of 15 per cent per annum, the Supreme Court had asked Sahara in August 2012 to submit all documents and refund money to SEBI for further repayments to genuine investors after verifying the documents. Sahara had submitted 5.28 crore documents to Sebi, which set up a Special Enforcement Cell for the case. Sebi had awarded a contract to Stock Holding Corporation of India Ltd (SHCIL) for storage, digitisation, scanning etc, and to UTI Infrastructure & Technology Services Ltd (UTI-ITSL) for refund related activities. These two contracts were originally worth about Rs 55 crore. Through one of its recent advertisements, Sebi had invited refund applications till January 31 from the eligible Sahara investors along with necessary documentary proof. Earlier, Sebi had invited refund claims to the regulator by September 30, 2014. 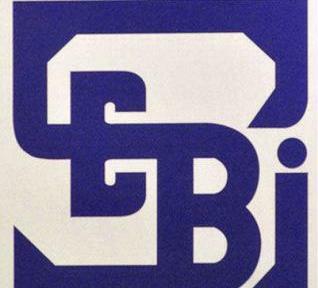 Sebi had received 4,900 refund claims during the August-September exercise from the bondholders of two Sahara companies --Sahara India Real Estate Corp Ltd (SIRECL) and Sahara HousingInvestment Corp Ltd (SHICL), which had raised over Rs 24,000crore from about three crore investors. While Sahara maintains it has already repaid more than 93 per cent of the outstanding dues directly to the concerned bondholders and the remaining amount was just about Rs 2,500 crore, it deposited Rs 5,120 crore to Sebi in December 2012 towards the investor refunds as per Supreme Court orders. Further money has been deposited by the group with Sebi subsequently and it is currently in the process of raising more funds to ensure release of its chief Subrata Roy from the jail. Sebi began the refund process in May 2013, while asking eligible investors to submit their claims. However, the refunds made so far remain minuscule, although the regulator has not so far made public the quantum of all such payments. Sahara has been maintaining that Sebi should verify the refunds made by it directly and claims to have submitted to the regulator proof for nearly 75 per cent of refunds. It also says that the remaining 25 per cent refund proof is lying in its Mumbai godown to be given to Sebi. On the identification on Sahara's investors, Sebi has contested in the court that addresses of many investors given by Saharas were incomplete as only village name, district and state is given without any house number or street/lane names. On its part, Sahara has maintained that most investors are from rural India and had no house numbers or street names. In the new refund application form, Sebi had given a new address format for rural investors, asking only village name, post office, district and state as against additional details like house number and street name for urban addresses. In its latest annual report for the year ended March 31, 2014, Sebi had disclosed having received 3,612 refund applications involving 13,948 deposit accounts till that time in the Sahara matter. "Out of the remaining 3,167 applications, in respect of 424 applications involving 1,683 deposit accounts, certain deficiencies were observed in the applications/supporting documents submitted by the applicants which were brought to the notices of the applicants for their clarification/rectification, and replies are awaited from them," Sebi said. Sebi also could not process 1,260 applications involving 7,159 deposit accounts as these were in multiple investment category, while 92 cases involving 92 accounts did not meet the extant refund methodology adopted by the regulator.